The word “blockchain” has become a bit of a buzzword lately, as blockchains are understood as being the foundational underpinnings of digital forms of currency like bitcoin. 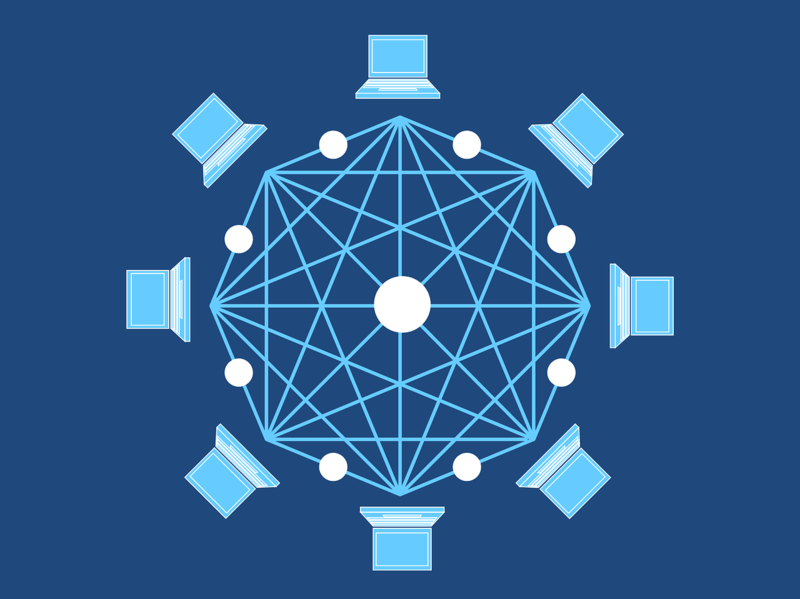 A blockchain is most simply understood as being a database that is communicated across a network of various computers. Blockchain has often been described as being a sort of “digital ledger”- a large organized, database or information. Blockchains are made up of digital information (blocks) that are stored within a larger public database (chain). Blocks on the blockchain are made up of digital pieces of information. The type of information that is stored within these blocks is: information about transactions (date, time, amount), information about who is engaging in these transactions, and other forms of information that help differentiate the blocks on the chain from one another. The blockchain is an effective and simple way of passing information from point A to point B in a fully automated, controlled, and safe manner. Currently, one of the main issues with the implementation of blockchains is the overall adoption and application of user experience principles. Since blockchain is still figuring out how best to be implemented, it hasn’t quite mastered the art of having a smooth and effective user experience. Some of this is just trial and error and figuring out how exactly users want to interact with these blockchains. In the meantime, here are three easy ways in which UX research and design principles can be applied to blockchains to help smooth things over in the meantime. It seems to be that the biggest issue plaguing the usability of blockchains is the use of industry jargon and unreadable address names. The first step to ensuring that blockchains are accessible to the mainstream is through making sure to remove all the jargon, long addresses, and other forms of communication that make it harder for users to understand, and costs the users time. In order to create something that is accessible by the mainstream, it has to be able to be understood by the mainstream. As previously mentioned, the application of technology and the internet to monetary tasks is a relatively new one, so it is essential to have users feel safe and protected when engaging in these transactions. One of the most important UX design principles that must be applied to the development of blockchains is the ability to create trust through digital design. Establishing digital trust helps users to feel secure and confident in their decisions to engage with blockchains and other forms of technology regarding financial matters. A particularly helpful UX research and design principle that can be implemented to help blockchains is the process of design thinking. Design thinking is particularly helpful because it relies on logic, strategy, and systemic reasoning in order to help achieve the best possible design solution for the problem at hand- it focuses on identifying the problem first before thinking of the solution. These are just some of the ways in which UX principles can be applied to blockchains in order to help bring this new technology to a wide variety of users. As mentioned, blockchain is still being explored to figure out all the various ways in which it can be applied, used, and modified. Currently a popular buzzword, we look forward to seeing the full impact blockchains can make on the future of our financial and business endeavors.